Purchased to complement a recent Sheaffer Pen purchase the Dark Blue is excellent. Not as harsh on the eyes as Black and easy to photocopy, scan, etc. 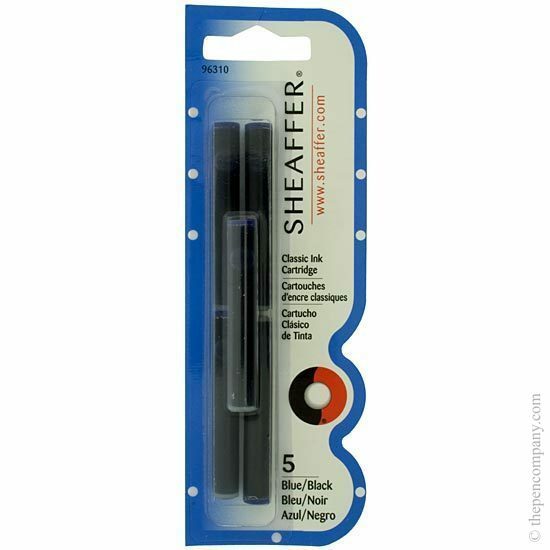 These do not fit Sheaffer pens that took their very thin cartridges to purchase these you need to contact Sheaffer "directly" via their new owner Cross. Cross can be contacted on 01582 722941. It looks like these are the ones you are after, the cartridges are 52mm long and 8mm in diameter. 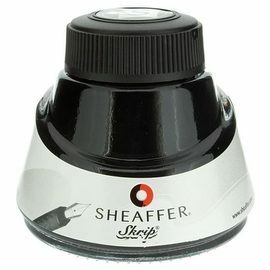 Sheaffer Skrip ink is a water-based pigment ink. It is not advisable to use an acrylic ink in a fountain pen as this can dry in the feeder creating a blockage which stops the ink flow. Once acrylic ink has dried in a feeder it is almost impossible to remove and may render the pen useless.